With the Moto 360 now available, we are sure there are plenty new Android Wear users in the building, so we wanted to share a few apps that we thought you might find useful. Of course, many of the first things you will want to download are custom watch faces, so we have that covered, but we also wanted to showcase a couple of utility applications, two of which you may not have thought to try out on your own. Below, see our list of a few apps which we think you might enjoy on your Android Wear smartwatch. Custom watch faces are very important for smartwatch owners. They allow us to customize the look of our timepiece, which makes us feel like an individual inside of a large group. While Google has been hesitant for some odd reason to release an official API for developers to begin creating watch faces, extensions do exist, which allow developers to still create and upload watch faces for users to download. One app in particular, WearFaces, takes the community aspect we know and love about Android, and allows users to download and select user-made watch faces from online. The app couldn’t be more easy to use. Once you open the app, you can hit “Download WearFaces Packs” and from this online gallery, you can choose which watch face you would like to sport. Once the zip containing the watch face elements is downloaded, simply “Import WearFaces pack,” then hit “Send to Wear.” Once you have sent the watch face to your smartwatch, you select the custom face using Android Wear’s built-in watch face selector. As I mentioned, it is very easy. The app is completely free to download, so go grab it immediately. According to research, 70% of calls made are status calls. Meaning, more times than not, you are calling someone to find out if your plans are still on for that evening or you are calling to make sure your friend is safe and sound. With an app called Knock, you can make sure that person replies to your message without having to directly call them. Allow me to give you an example. If you and your girlfriend have Knock installed on your phones, instead of calling them, you can send each other knocks. With Knock on your Android Wear device, you can respond to knocks even more quickly, given that you won’t need to pull out your device to reply to your friend, wife, etc. The app is free to use, downloadable right from Google Play. The next app, Panic, is one that could actually save you from danger, should the need for it ever arise. When Panic is installed on Android Wear, if you ever find yourself in danger, you can program the app to send a pre-determined text message to someone on your ICOE contacts list, all from your wrist. Once you program a message and number for it t be sent to, whenever you hit the big red panic button on your watch, that text will be sent out. Sometimes, people may not have a chance to reach into their pocket or purse to pull out their phone in case they are in danger, so the Panic app could come in handy if that situation does happen. Let’s just hope it never does. The app costs just $1.18 through Google Play. 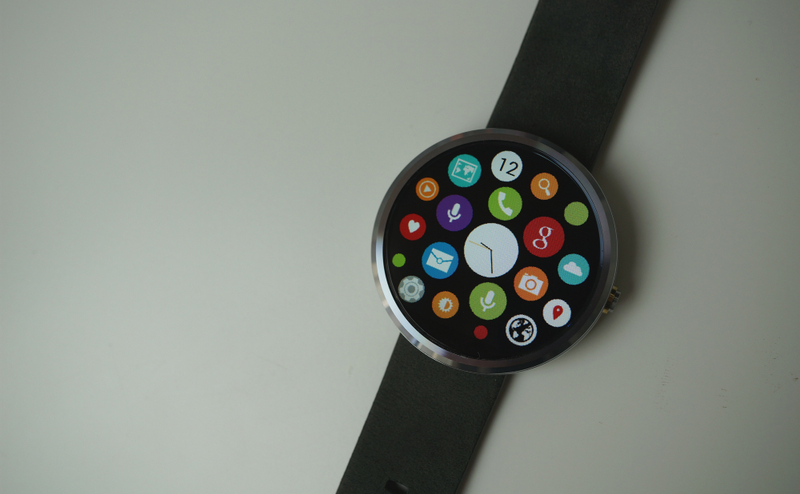 If you have any Android Wear apps you would like to suggest, please email us or write them down in the comments below. I am sure we would all appreciate that. Contest: Win a MINI JAMBOX From AT&T and Droid Life!